Motherwort is a perennial plant that is best known as an herb that helps the heart and women’s disorders. 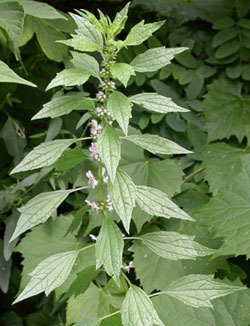 Early Greeks gave pregnant women motherwort who suffered anxiety. The Latin name is derived from the Greek: leon for lion and ouros for tail. The name cardiac comes from kardiaca, meaning heart. 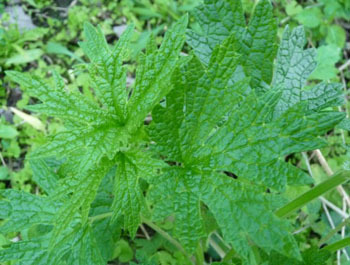 Motherwort is categorically a mint that has a very bitter taste. 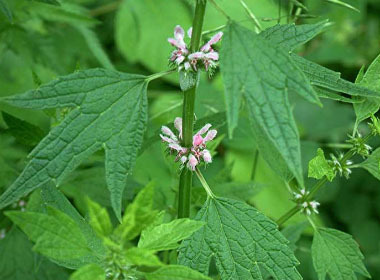 Distinguishing Features: Motherwort is an upright prickly bush that can grow tall and wide. The flowers grow in whorls that alternate up the stem with the leaves. Flowers: Motherwort flowers are hermaphrodite and are pollinated by bees. They are pale pink to purple (and sometimes white) in colour, very hairy, and are in whorls of 6 to 12 alternating up the stem with the leaves. They bloom late June to early September. Fields of Nutrition has medicinal benefits and vitamin/mineral content of Motherwort. 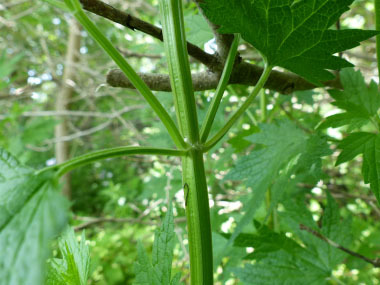 Leaves: The leaves are dark green on the top and pale below. They are deeply lobed into three and are somewhat oak-shaped. 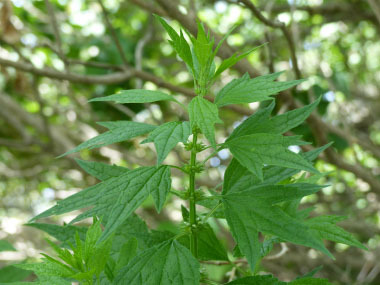 Some people may have a slight reaction (itching) to the motherwort leaf if they break it up. 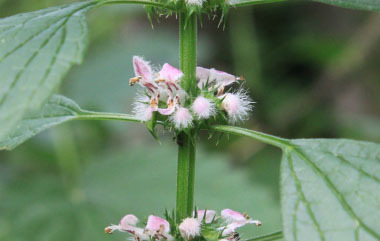 Height: Motherwort can grow up to heights of almost 2 metres and can be as wide as 1 metre. Habitat: Motherwort grows well in waste places that are moist and often on gravelly or calcareous soils. It can grow in sunny or lightly shaded areas. Edible parts: Fresh or dried flowers can be used as a flavouring in soups, particularly in split pea or lentil soup. Those who like to make beer have sometimes used the flowers as flavouring. The leaves and flowers can be used to make a tea.